ZGA provided design and construction phase geotechnical and environmental services for this new substation and three tall transmission poles that will help service the Canyon Park area. The project included a review of geotechnical reports prepared by others for the site vicinity, subsurface exploration, laboratory testing, and analysis for dead end structures supported by drilled piers, multiple slabs and foundations for transformers, bus supports, switchgear housings, vaults, and a concrete block gravity retaining wall. The analysis for the transmission poles considered direct burial of the pre-fabricated steel poles. 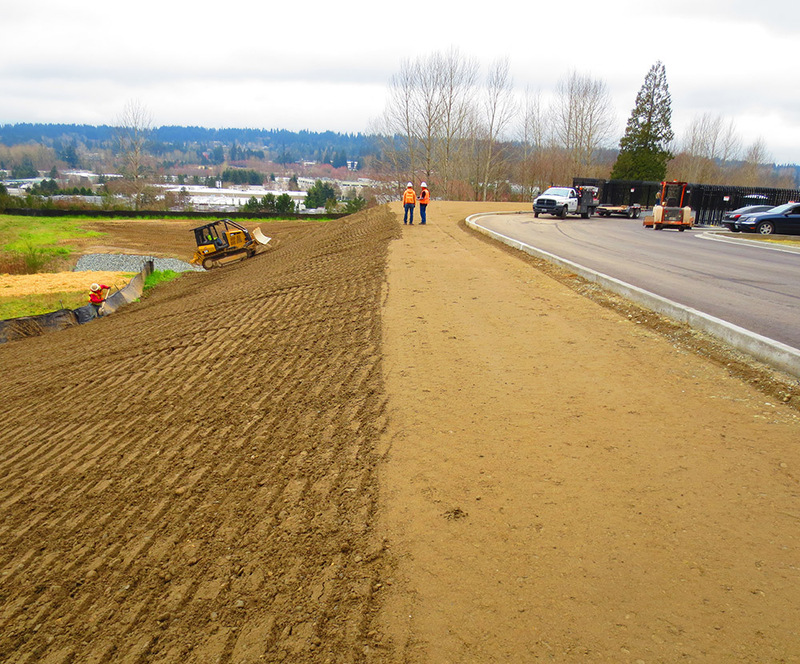 Environmental services included evaluating the constituents of recycled asphalt pavement relative to its final disposition. The substation encompasses approximately 3.3 acres of a 5.9 acre site. Construction phase services included assisting the District and contractor with identification of unsuitable fill materials, subgrade verification, field density testing and supporting laboratory testing, characterization of imported yard rock sources, and consultation regarding temporary erosion and sedimentation control.